Nearing the summit of Monseratte. On my first day in Bogota, Colombia, I decided to go for a hike. Specifically, a relatively easy climb up to the summit of the city’s most famous mountain, Monserrate. Rising to some 3,152 metres (10,341 ft) above sea level, it’s a popular hiking spot amongst local residents and tourists alike. 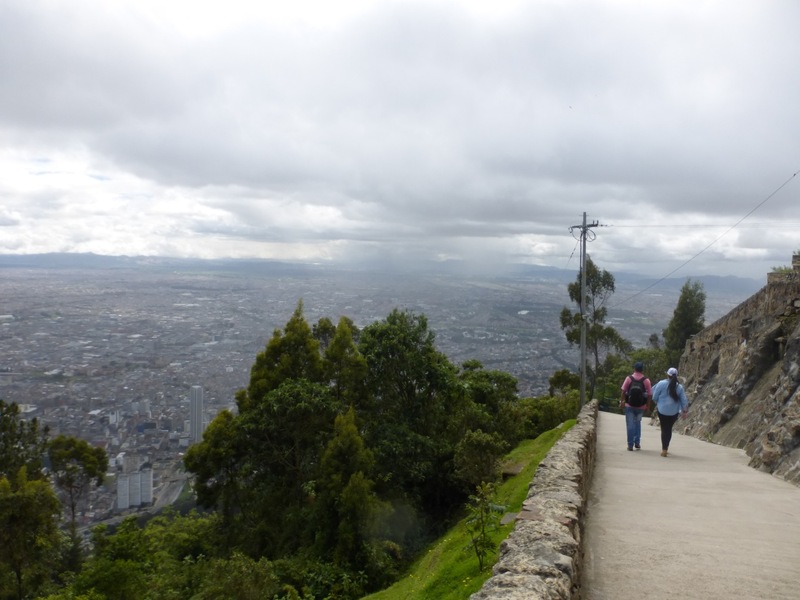 Easy to follow trail, a handful of food stalls along the way and some impressive vistas over Bogota once you reach the top. For security purposes, there are even policemen situated every 700 yards or so. A great way to stretch the legs after a long flight the day before. 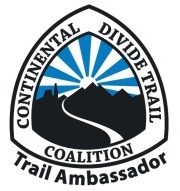 Also a good opportunity to begin the acclimatisation process, before travelling on to my first multi-day hike of the journey, a circumnavigation of the incredible Sierra Nevada del Cocuy (trip report to come next week). About half way up the ascent, in a police-less stretch of pathway, a largish guy (about 230/240 lbs & 6’2″) with a shady look about him descended towards me. Sure enough, when he got to within a few yards, he pulled out a knife and said, “dame plata” (give me money)! Overlooking the city of Bogota. He repeated more aggressively, “dame plata” and moved closer towards me with the knife outstretched. I repeated “no” a second time and simultaneously side-stepped around him and made a break for it. Instinctively deciding to run upstairs rather than down. I had figured that this big guy wouldn’t be able to catch me; especially going up. Sure enough, he tried for a few paces but quickly realized it was a lost cause. Less than two minutes later I encountered a policeman. I recounted the story of what had happened and gave him a detailed description of my would-be assailant. He promptly got on the phone and called his fellow officers stationed up and down the pathway. After this I continued on my hike up to the top of Monseratte. 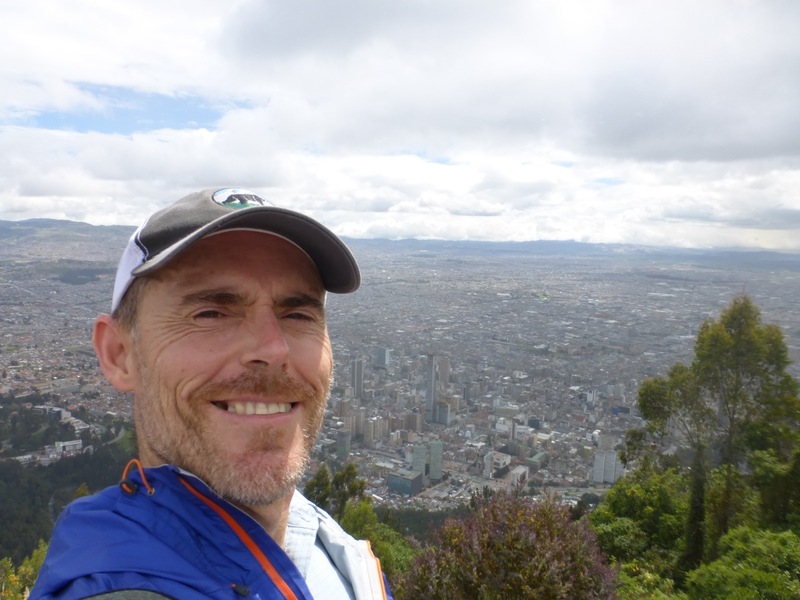 The views over Bogota from the summit were pretty good. I took some photos, had something to eat, checked out the church, and 30 minutes later began my way back down the mountain. 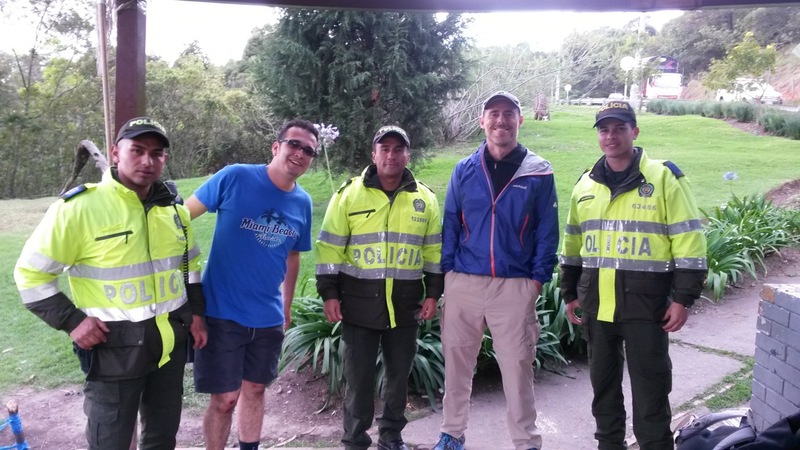 Yours truly with three of the policemen and a Colombian local who the robber also attempted to assail. Not long after I started my descent, I ran into some more policemen. I told them my story and asked whether or not the guy had been captured. One of them pulled out his phone and showed me a photo of the suspect they had in custody. I confirmed it was him. They then asked if I would accompany them down the mountain to identify the robber in person and make an official statement. I agreed. Over the next seven hours, I retold my story some seven or eight subsequent times to a whole range of Colombian law enforcement officers. At around 8 pm a Colombian news crew turned up, and I was even interviewed for a national TV station! 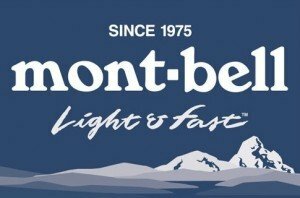 Apparently because Monseratte is such a well known tourist destination, someone from the police station thought they should call in the media, and a network news crew came down to film a report. A bit surreal being interviewed for Colombian TV less than 24 hours after arriving in the country (click here for a brief account of the incident in the Colombian media…….they even gave me an alias!). It wasn’t until the final time I recounted my story at around 9pm, that a lady at the police station actually typed it all up officially and logged it in the computer system. 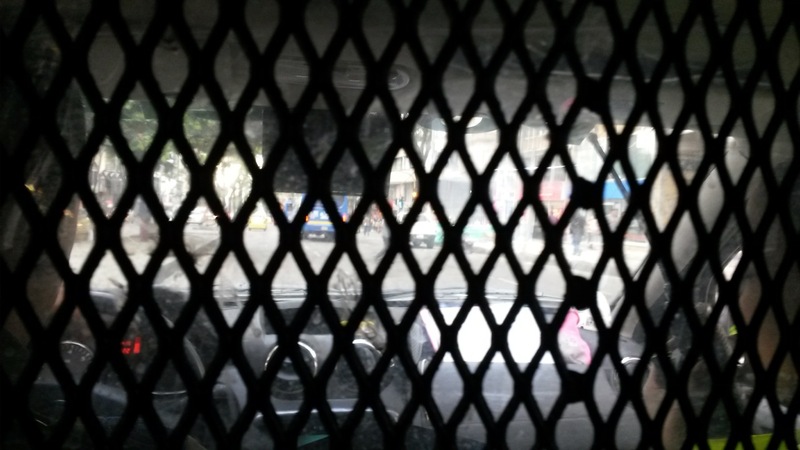 In the back of the police car on the way to the station . Finally, I was free to leave. Unfortunately, because of everything that had happened, I had missed my overnight bus to the village of Cocuy in the Santander region. I mentioned this to the person in charge of tourist relations at police HQ, and they were kind enough to put me up for free in a hotel room as a way of saying thank you for my assistance. Upon reaching my hotel, I checked my bag and went out for a meal and a couple of beers. All in all a memorable first day in Bogota and Colombia! *Note: In sharing this story, the last thing I want is for people to think that Colombia isn’t safe for tourists. It is. What happened on my first day in Bogota was a random event that could have occurred in pretty much any big city around the world. The rest of my time in Colombia went off without a hitch, and over the next few weeks I encountered nothing but kindness and amazing hospitality.